Last day of my holiday, back to work after the weekend. So the last day of my holiday has ended, Friday is now a distant day,hello Saturday! I only have the weekend remaining before I am back to work, but what a productive two weeks, I have ridden the ponies every day….apart from the last couple of days that have been wet and stormy. I have painted every day, tidied up my painting cupboard, and managed to do a few bits in the garden ( it didn’t need much as it has been so dry I have not needed to get the mower out for a couple of weeks). I have visited the vets with one of my poorly cats ( she is fine now). Took a trip to the art shop, yippee. Lastly my daughter got her A level results, and happy days she achieved the grades she needed to get on the graphics course in September, at bournemouth uni. Although I will be limited in spare time once I am back to work, I am planning to try and continue painting as much as possible. I have enjoyed pushing myself out of my comfort zone- figures and new medium, charcoal. 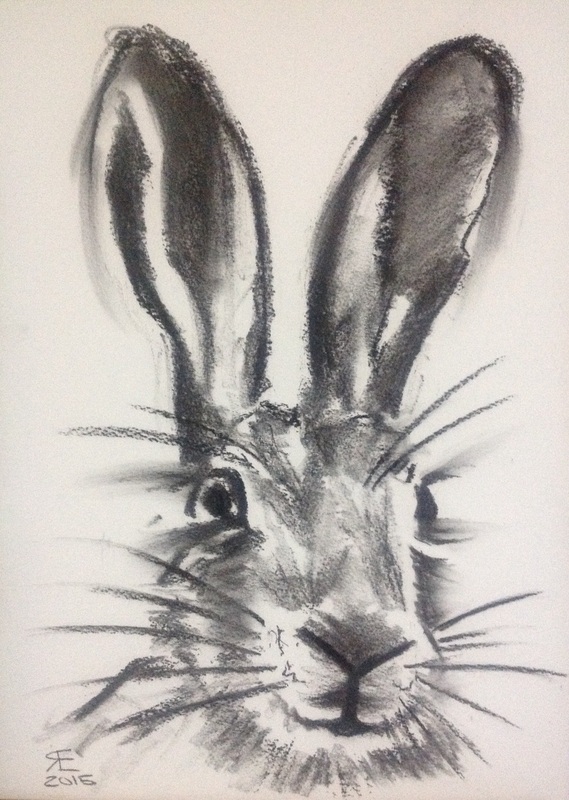 So to end Friday, here is another play with charcoal, this time on a much larger scale. 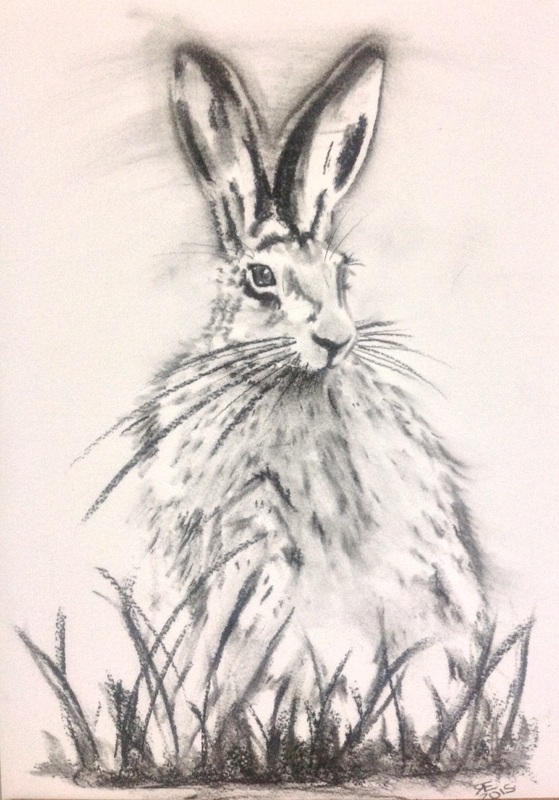 This entry was posted in art, Charcoal, Hare, head, picture, sitting, sketch and tagged art, Charcoal, Hare, head, painting, Painting, picture, sitting, sketch. Bookmark the permalink. 2 Responses to Last day of my holiday, back to work after the weekend. Love your charcoal work! And congratulations to your daughter and to you! Enjoy your weekend, Rebecca. Thank you Laura ….just off to the art shop now, in need of a storage folder to put all these finished pieces in.had a lovely ride on the forest today, plus the sun is out. Have a great weekend too.